Summary: Erickson Consulting Engineers, Inc., (ECE) designed and planned the Walkin Marina maintenance dredging and marina extension. The private marina is located along the Leeward Going Through channel and is an important facility for charter fishing boats and inter-island ferries. ECE prepared the design for excavation of 790 CY of sediment to reestablish safe navigation in the marina basin. ECE also planned for additional improvements to the marina infrastructure, which included lengthening of the concrete fuel dock and reestablishing the aluminum floating dock which was damaged during the 2008 Hurricanes Hanna and Ike. 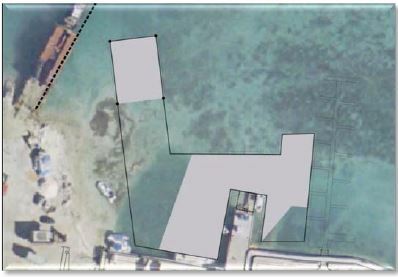 The marina basin maintenance dredge project involves the excavation, dewatering and transfer of 790 CY of sediment, repairing and lengthening the concrete fuel dock, and the mitigation of impacted coral by transplanting affected species to a protected reef.